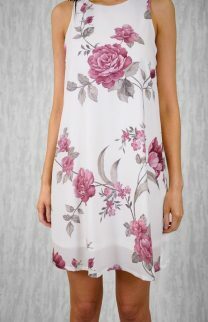 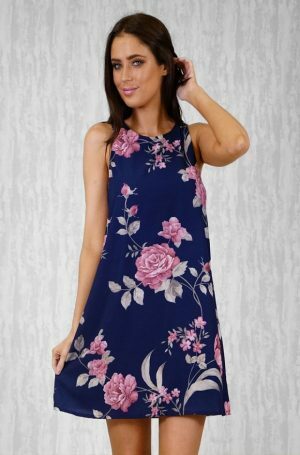 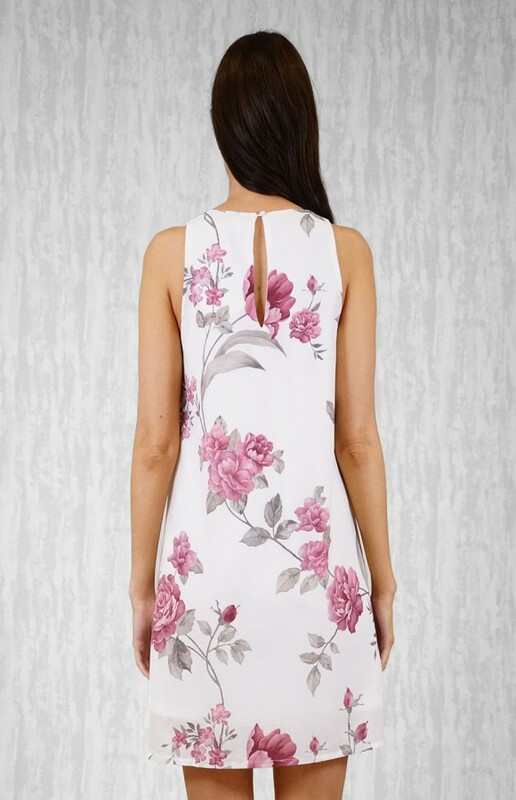 Beautiful lightweight floral print dress. 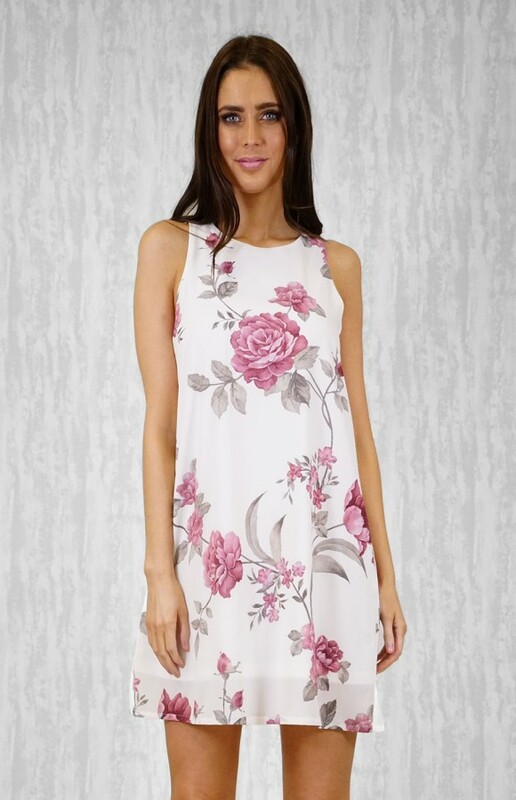 This dress is fully lined with a crew neckline in a relaxed fit. Featuring a loophole at centre back with button enclosure.